Floris Elementary is an amazing school. Students start the day early learning new strategies in Chess Club, or developing self-esteem with Girls on the Run. During the school day Maryland Science Center brings its hands-on Traveling Science Program to our kindergarten, 2nd and 6th graders. Our 4th graders chat with expert historians and examine primary sources via Skype though the HistoryConnects program at the Virginia Historical Society. Students have access to the STEAM lab and brand new laptops. After school Math Enrichment fosters analytical thinking and real world problem-solving skills, incorporating programs like Math Kangaroo. Meanwhile other students learn public speaking skills in Debate Club, and the importance of service and giving in our Touching Hearts program. Families bring their pillows and blankets to school to watch a movie in their pajamas and eat popcorn with friends on Movie Night. Your contributions to our Friends of Floris fundraiser make it all happen. All of those programs and events and many more come from your Floris PTA, funded by your donations. Please consider donating $80 per child or $150 per family. Any amount is welcome and greatly appreciated. This is our main fundraiser of the year. No selling wrapping paper, candy bars, or cookie dough. No other group taking a cut of your contribution. 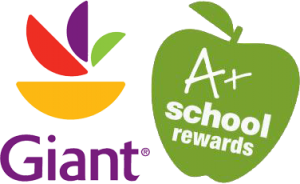 100% of your donation will go straight to the Floris PTA to continue these and other phenomenal programs. 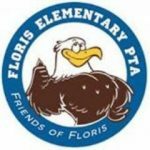 Any donation of $80 and above includes a free PTA Membership and free access to our Floris Directory. Any donation of $250 and above includes those items, and also earns you a free car magnet. The class with the highest contributions wins a pizza party! You can support your child’s right to succeed, and prepare him or her for the jobs of the future. Thank you in advance for your support! Please donate online at https://goo.gl/vh7zjZ or print the form below. Your donation is tax deductible. Friends of Floris Fundraiser – Thank YOU! !